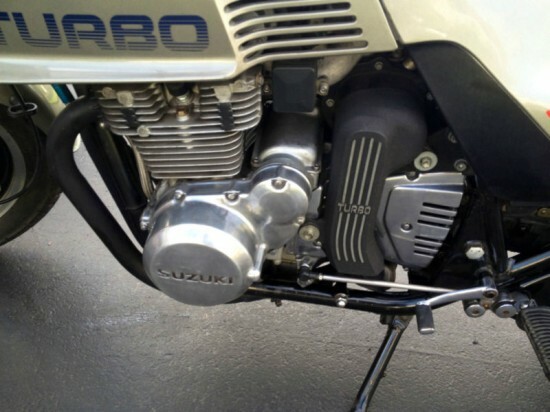 A one-year-wonder, the Suzuki XN85 Turbo was an odd, stop-gap bike that Suzuki all but denies and, just a few years later, Suzuki set the sportbiking world on it’s ear with their GSX-R750. That bike was a nearly perfect distillation of racing technology in a reliable, streetable package. The XN85 was nearly the opposite: a quirky, unconventional machine, albeit with the same sporting mission: while other manufacturers’ turbo bikes were pitched towards the sport-touring or “gentleman’s express” end of the biking spectrum, the XN was a no compromise sports machine, with clip-ons, rearset pegs, and a monoshock rear: this was one of the first uses of the “Suzuki Full Floater” system that would feature on other bikes in their range. The name came from the factory horsepower figures for the force-fed 673cc four-cylinder: 85hp. While the bike lacked horsepower compared to its rivals, it made up for that shortfall with exemplary handling. 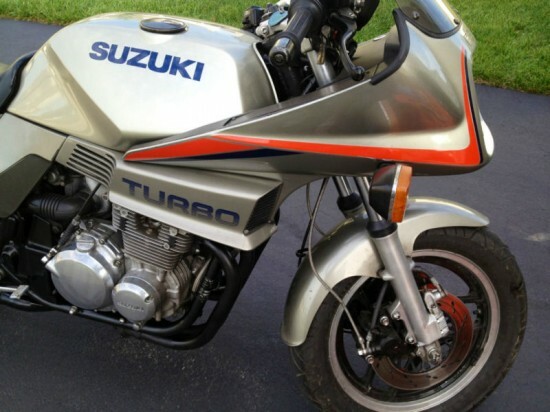 Information is pretty minimal in the original eBay listing: 1983 Suzuki XN85 Turbo for Sale. 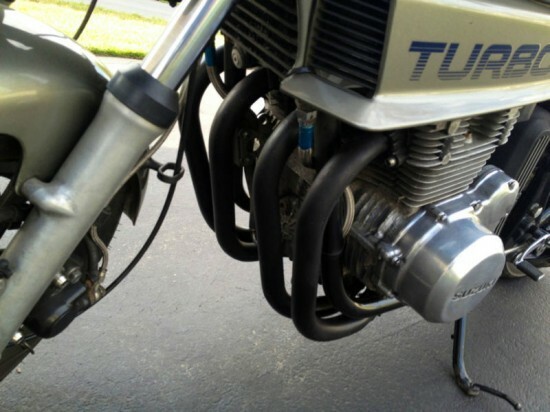 You’re looking at a Suzuki XN85 Turbo motorcycle. Only 1153 were made. New muffler, new forks. The bike originally came from Great Britain. A really nice looking bike for its age. Ask questions if needed. There’s not much time left on this auction, so move quickly if you have a hankering for some forced-induction exotica from the land of the rising sun. 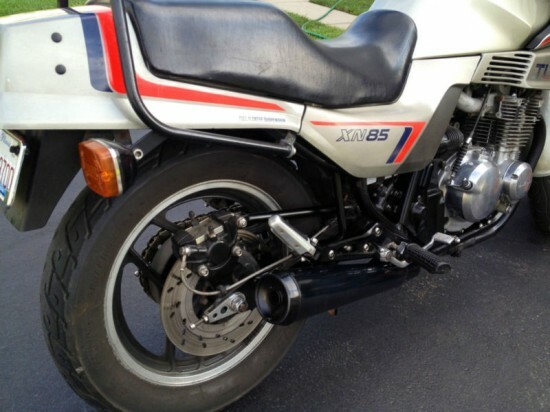 Information about the XN is pretty scarce, with only about 1100 made and only 300 or so were imported to the US. If you like the 80’s styling of funky turbo machines, the XN was definitely the handler of the bunch. 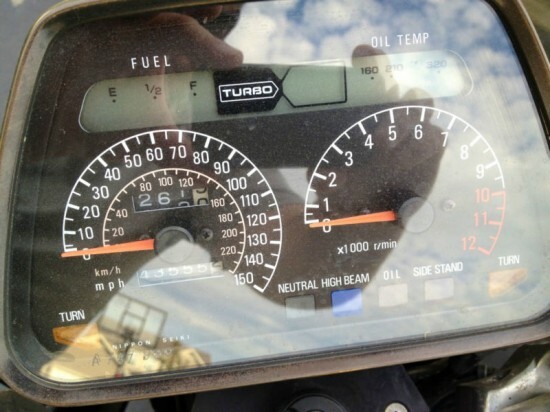 The downside, given the bike’s rarity, is that parts may be less available. Next story Which 1973 Honda CB350F is for you?